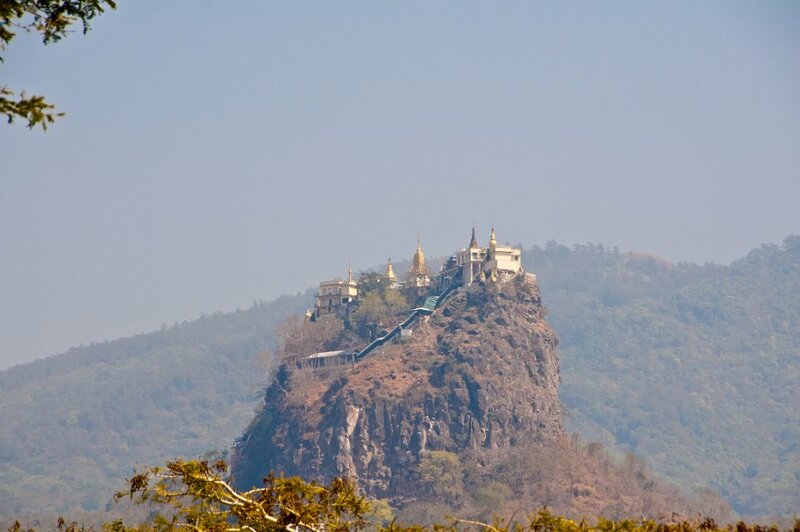 Mount Popa is a volcano 1518 metres (4981 feet) above sea level, and located in central Burma (Myanmar) about 50 km (30 miles) southeast of Bagan (alt: Pagan) in the Pegu Range. 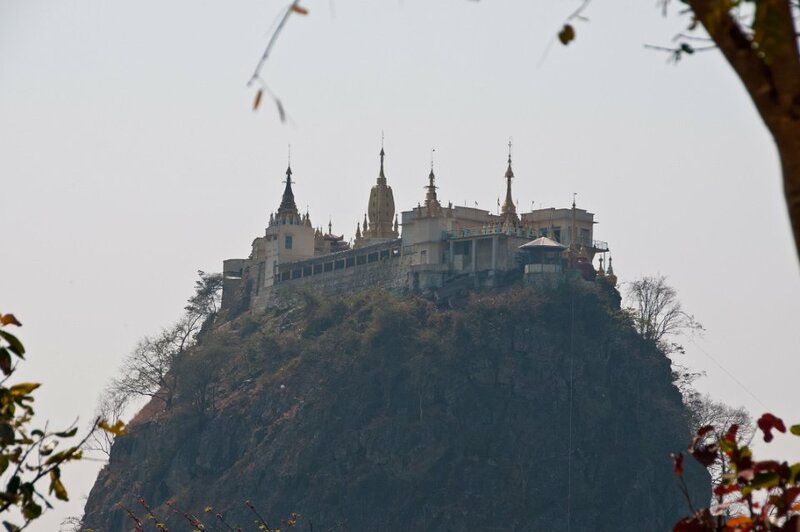 It can be seen from the River Ayeyarwady (Irrawaddy) as far away as 60 km (40 miles) in clear weather. 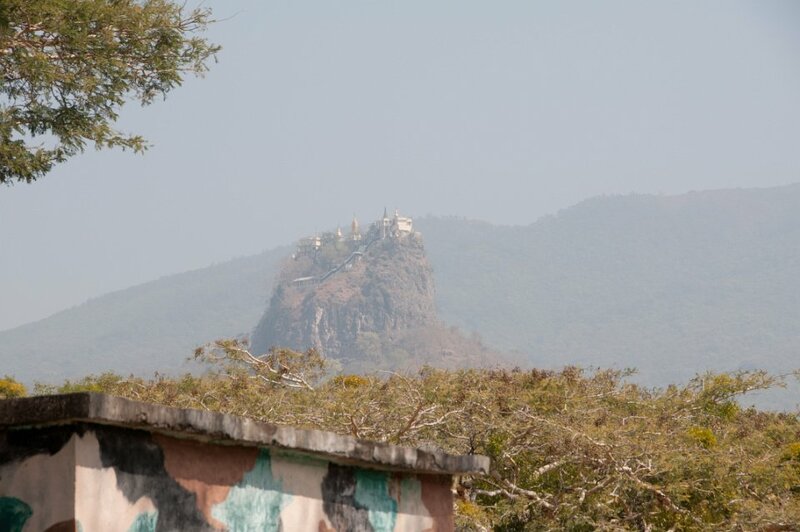 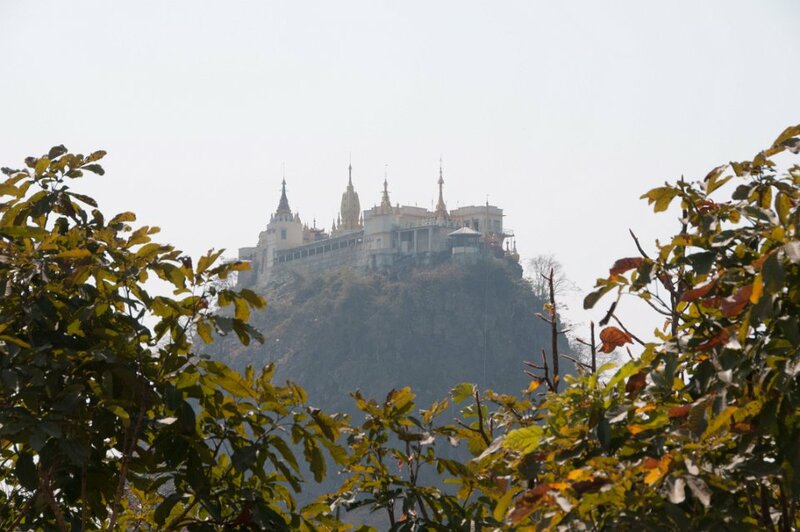 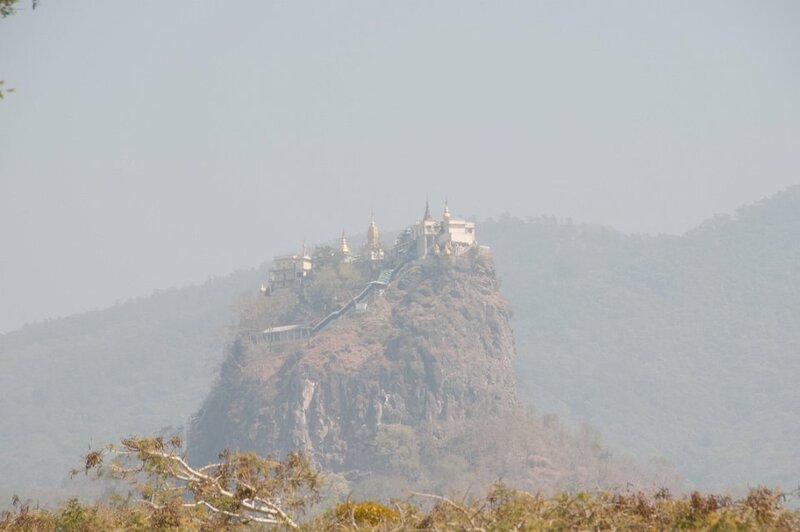 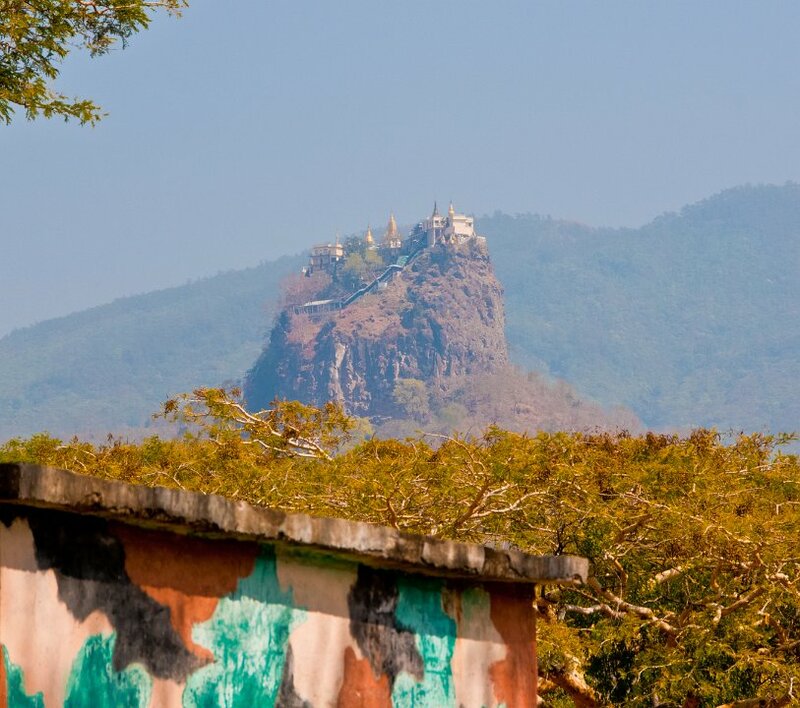 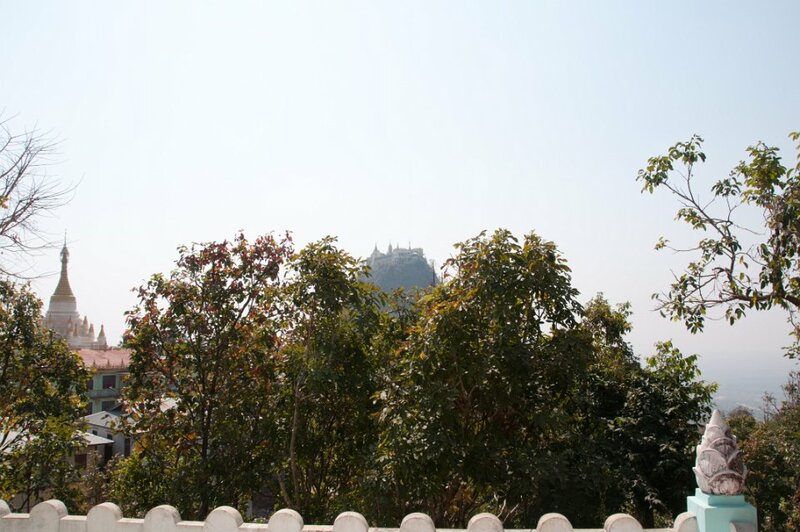 Mount Popa is perhaps best known for the nearby stunningly picturesque Popa Taungkalat monastery atop an outcrop. 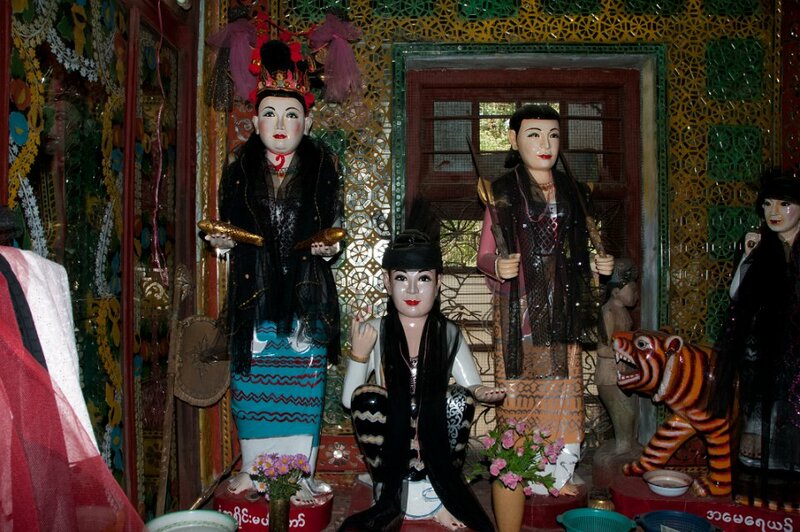 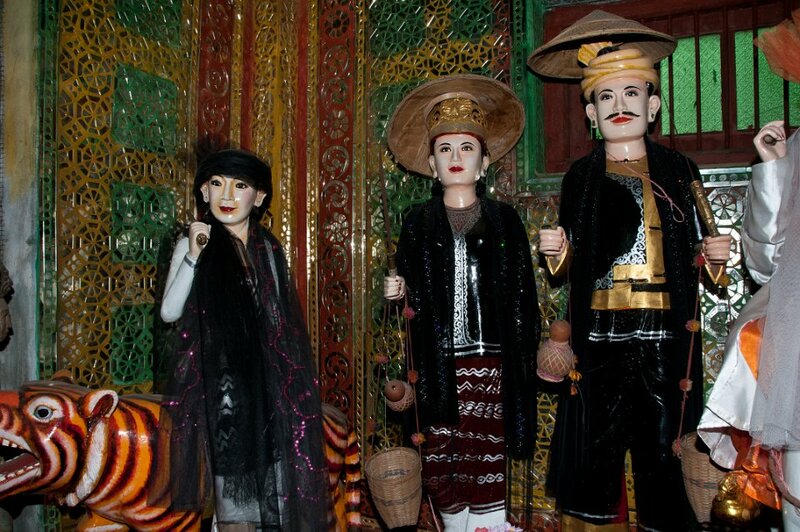 The Popa Taungkalat (Taung Kalat) Shrine is home to 37 Mahagiri Nats, or spirits. 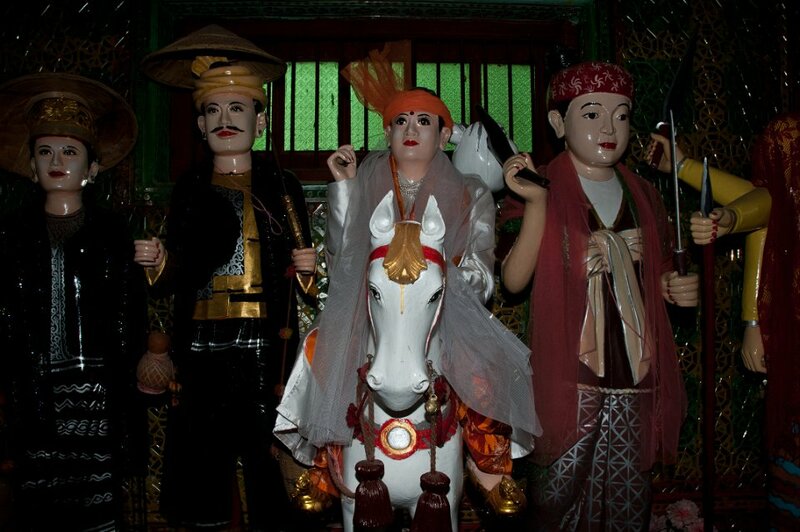 Statues depicting the Nats are at the base of the Shrine.